Your body needs to be slightly alkaline to be at its healthiest. Your cells, the chemical reactions inside them, your beneficial bacteria in your gut and your immune system all work better in a slightly alkaline environment. An acid body means your systems do not work as efficiently as they should. This article tells you how to alkalise for health, and what foods and factors provide an alkaline diet. Your cells energy production depends on you having good levels of magnesium and potassium, and low cellular levels of sodium. As we explain in Acid Bodies and cancer (click here to link), the energy production systems in your cells power stations (mitochondria) thrive on potassium. If sodium displaces the potassium, the mitochondria use less oxygen and produce less energy. They also produce sodium salts which are more acid than the potassium salts they normally produce. These make matters worse as the cell becomes more acid and a downward spiral sets in - the cell uses even less oxygen, makes even less energy and so on. Magnesium is required by a pump on the membrane of the cell to pump in potassium and pump out sodium. 40 per cent of the population are deficient in magnesium. You should also consume potassium at 5 times the level of sodium. Few people do. Common salt (table and most sea salts) is a negative factor in this system. Focus on potassium- and magnesium-rich foods and Himalayan salt. In your gut you have many, many strains of beneficial bacteria (for the article on beneficial bacteria, click here). They cut up your foods and release essential vitamins, natural compounds and even a cancer killing chemical, sodium butyrate. They also direct up to 85 per cent of your immune system. Their presence causes an immune response, and many experts now believe your immune memory stems from the bacteria in your gut. These bacteria thrive at a certain pH* and thrive on a high fibre diet. They also consume microbes and yeasts like candida. Any change in that balance (for example, through the consumption of non-fibrous foods, too much alcohol, or salt) will cause a stunting of their labours on your behalf. Low fibre foods, salt, saturated fats, meats, common sugar, cows dairy, stress can all alter the pH in the intestine directly, or through the production of hormones or bile acids that have a secondary effect. It is essential, in illness or if you are over 50, that you ´top-up´ with a multi-strain Probiotic on a daily basis. And you feed your bacteria greens, grains, nuts, seeds and whole foods. A crucial side issue of an imbalance of beneficial bacteria in the gut, is that at night when you sleep they consume over 2 lbs of microbes and yeasts. They are your first line of defence. ​If your yeasts get past them the yeasts can cause an unhealthy body by blocking important receptor sites on cell walls. These receptors could be essential for receiving insulin (cinnamon is proven to kill yeasts in the blood and stop them from blocking insulin sites research showed a 25 per cent decline in diabetes-2 effects by taking cinnamon) or anti-cancer agents like vitamin D (women who take more that 25 doses of antibiotics in their life-times have twice the rate of breast cancer). Yeasts, and particularly candida, thrive in low oxygen, slightly acid environments. *NB. pH is a measure of the acidity or alkalinity of a liquid. You can test your saliva or your urine to see how acid or alkaline you are. The measurement of pH is from zero (acid) to 14 (alkaline) and ideally water is 7.0 to 7.2 and the human body 7.2 to 7.4. The acidity or alkalinity is almost entirely due to the various dissolved salts in the liquid. Where reverse osmosis removes salts, the pH of the water can fall to 6 and the water becomes more acid. The human body needs calcium, magnesium, potassium salts dissolved in it. Unfortunately many people confuse the term salts with salt. The latter refers only to Sodium chloride. In our book The Rainbow Diet we argue that 1 gm per day of sodium chloride is more than enough. The average New Yorker consumes 16 gms per day. They undoubtedly have acid bodies! A number of commentators talk about acid residue foods or alkaline residue foods. I have asked two of the top experts in the UK to prove to me that these exist. They cant. It is tosh - and anyway irrelevant. Animal fats can cause an acid, carcinogenic bile acid to be produced that can alter the effieciency of beneficial bacteria and even cause inflammation (a precancerous condition) via eicosanoids (localised hormones like prostaglandins). Stress via cortisol and sugar via insulin also cause negative eicosanoids to be produced. Garlic, ginger, omega-3, aspirin, curcumin and other natural compounds can prevent the formation of these harmful eicosanoids and alkalise an acid situation. So both foods and non-dietary factors can cause acid or alkaline situations. Here is a guide to pin on your fridge door. The list is meant to be indicative, not exhaustive. There is debate about tomatoes and oranges, which some people say are acid forming. But lemons and limes are certainly not. A drink of fresh lemon, ginger and honey with hot water is a great way to start the day. Other foods like liver, shell fish and crab also have issues to do with stored toxins and chemicals. And of course, factors such as white can liners (BPA), plastic bottles (BPA, phthalates), nail polishes containing toluene, perfumes on your skin contain certain toxins etc can all heighten your oestrogen levels and set up the acid cell syndrome described above. Acid Bodies and cancer / Beneficial bacteria / Can candida cause cancer? ​by Certain Foods and Chemicals in Our System. Artificial sweeteners, preservatives and flavor enhancers such as monosodium glutamate (MSG), are known to create severe reactions in some people, triggering migraine headaches. Despite numerous reported side effects and symptoms of aspartame toxicity, the FDA has allowed the product back on the market where it continues to cause numerous problems for consumers. can be replaced with Stevia, a naturally sweet herb with no known side effects and no calories. Reintroduce potential problem foods one at a time over a period of weeks to find out which one is causing the problem. Taking these foods out of your diet may feel like a sacrifice; however, if your headaches are eliminated or greatly reduced, then it may be worth it. 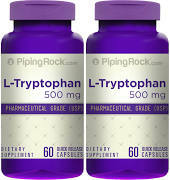 Tryptophan, one of the 10 essential amino acids, stimulates the production of the brain transmitter dopamine, which in turn contributes to the release of serotonin. Migraine relief often results from the flow of serotonin, which elevates moods, relieves anxiety and tension, and relaxes tiny muscles around capillaries in the scalp. Lavender is used by herbalists to soothe jangled nerves and has an analgesic effect on migraine sufferers. Lavender reduces the inflammation that occurs in blood vessels during a migraine, and relieves spasms in the muscles of the neck, around the eyes and in the scalp. Place dried lavender flowers in sachets or herbal hot packs to use when headaches start. Alternatively, make a tea by steeping one teaspoon of the dried flowers in one cup of boiling water for 15 minutes. Sip slowly throughout the day and sweeten if desired. Use common household herbs like ginger, peppermint and cayenne pepper to treat a migraine. Ginger or peppermint can also be helpful in reducing the nausea accompanying many migraine headaches. To make a herbal tea, mix the three herbs together. Place a pinch of cayenne pepper, a one inch piece of fresh ginger and a teaspoonful of dried peppermint in two cups boiling water and allow to steep for 15 minutes. Remove the herbs and sweeten with honey to taste. Natural pain relievers in each of these herbs can help ease away your migraine headache. (NewsTarget) People who suffer from the debilitating pain of migraine headaches need relief. Could the solution be found in a radish-like root vegetable that grows in an extreme climate where few other plants can survive? Might something the Incas consumed regularly 2,000 years ago be a modern day panacea for migraine sufferers? Some of the usual suspects such as stress, lack of exercise, allergies, irregular sleep patterns, caffeine, nicotine, and alcohol (particularly red wine) are implicated as possible causes of migraines headaches. Migraines involve excessive dilation or contraction of the brain's blood vessels. Nicotine is known to constrict blood vessels and red wine can contain sulfites which will cause a reaction in some people. Other potential stressors on blood vessels can be elevated estrogen levels or progesterone levels that are too low. Modern-day exposure to chemicals and pollution, along with the standard American diet and its accompanying toxic load, can wreak havoc on the endocrine system, leaving individuals with wild fluctuations and deficiencies in hormone levels. It is interesting to note that women are three times more likely to suffer from migraines than men. Low progesterone levels are often the reason for these terrible headaches in women over the age of 35. Also, when excessive estrogenic burdens (xenoestrogens from plastics, for example) are placed on the body, the endocrine system's homeostasis can be disrupted. This may indicate a relationship between migraines and fluctuating hormone levels. Maca is a superfood that grows at 14,000 feet elevation in the Andes Mountains of Peru. It is both adaptogenic and restorative in that it helps the body to adapt to stress and can help to recalibrate the body's hormones. Maca has an incredible nutritional profile of potent phytonutrients that include vitamins, minerals, amino acids, fiber, and fatty acids. This amazing plant can nutritionally fuel the endocrine system so that it is able to produce hormones regularly. Maca does not actually increase levels of any hormones but encourages the body to produce them on its own. This is accomplished through maca's targeted nourishment of the hypothalamus and pituitary glands (master glands of the body). These glands in turn regulate other glands, bringing balance to the adrenal, thyroid, pancreas, ovarian, and testicular glands. ​This can move the body toward a more optimal balance of estrogen and progesterone levels potentially reducing the severity and occurrence of migraine headaches. Maca is easily enjoyed in its powdered form mixed in a smoothie, yogurt, or cereal. 1. As soon as any sign of headache, add 2-3 drops of lavender oil in 3 cups of boiling water over the stove, carefully lean over the pot and inhale the steam.. Do not take orally! have been told by several naturopaths that eating pork gives you parasites that can accumulate in your brain causing migraines/headaches...don't eat it....use a good detoxifying parasite killer called Purge from Neways and you'll feel heaps better! I have had migraines since I was 7. I am now 55. The meds do not work for me, but I do see a chiropractor that practices kinesiology. I have acupuncture treatments, and have a massage on a regular basis. 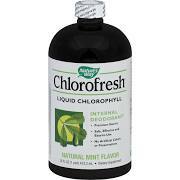 I use a homeopathic blend of herbs that is sprayed under your tongue. That is pretty amazing. So much better than all the drugs. Staying away from MSG. Most food do not bother me, but you must eliminate the trigger foods until you know. I know some people like heat when they are having an episode, but I like cold. A Slushy drink is a must for me, and ice packs. Thinking about all of you, prayers. I know also that a severe drop in the barometric pressure will trigger a migraine. The human barometer. Valerian helps with the migraine hangover. Hi - a family member suffered from severe migraines for years. It appears that the cause was her silver amalgam dental filings. Once she got these all removed and replaced her migraines disappeared, no more heavy metal poisoning. I started suffering with migraines as a child, and this went on thorughout my younger adult years, trips to emergency rooms, and narcotic drug prescriptions. Than I started Chiropractic care brought healing, stopping of drugs within 3 months of starting care, and now I seldom experience migraines! Diet plays a vital role as well - you are what you eat! From having them weekly, to now maybe one a year - I have found my Cure! I know a doctor that HAD severe migraine headaches. His name was Dr. Max Gerson and his story is in the Gerson Therapy, The Power of Natural Healing with Howard Straus, Gerson Media, and more. Add: magnesium.. a good percentage of those suffering from migraines are magnesium defficiant.. So, I saw that Magnesium and B vitamin deficiencies were addressed but don't forget zinc. I suffered from severe migraines and was prescribed serious painkillers. I threw out the pain killers and started researching the source. I am a birth control user (and I see there is an article regarding birth control and deficiencies of magnesium, B vitamins and zinc) and a holistic doctor had noted in the past I had a zinc deficiency (which I sadly ignored until the migraines made me address the problem) I read an article about zinc deficiency and migraines and promptly started taking zinc. I haven't had a migraine since. (yes, abandoning the birth control would also be a whole body and healthy alternative but not getting pregnant is of high importance to me and there just is not a reliable enough alternative in my eyes - but I have learned to watch those nutrients closely). My health food store also suggested 5-HTP, and an all important regime with 'Femal' to help get hormones in order, (balance estrogen levels). All combined with regular exercise, healthy eating, Magnesium, B2 and lots of water. I suffered from debilitating migraines for about 15 years. One day by chance I found a cure. Water. Lots of it. When you see spots or experience your own symptoms leading up to it, drink about two liters of water, shut your eyes, relax, breathe and tell yourself it's not going to happen. The spots eventually move out of my peripheral vision and the headache doesn't happen. Not sure if it's rehydration that's responsible, the water flushing toxins from my body, the relaxation and positive affirmation bit, or a combination of all three but it works every time for me. Everyone's different so it may not work for you, but maybe it's worth a try. Help! My sweet tooth is killing me. I had migraines that started out at twice a year then came closer and close together until they were coming monthly. They lasted for a week and were so intense I could not hold down a job. I learned, through one of Dr Daniel Amen's lectures and photos of healthy and unhealthy brains, about the effects of artificial sweeteners. When I stopped ingesting these toxic sweeteners, my migraines stopped immediately and I have not had one in many years. It's difficult for some people to trust that something as overwhelming as a migraine can be stopped so simply, but I am living proof that there is hope. Don't forget there is so much research on the link between migraines and low levels of magnesium. Foods high in magnesium are Swiss Chard, spinach, almonds, cashews, flax, sunflower seeds, brazil nuts, pumpkin seeds and molassas. Magnesium helps boost dopamine production in the brain and in women can help the body process estrogen. I've been taking magnesium supplements for about 12 months now and my migraines have reduced from 3-5 per week, to 2-4 migraines a month! Magnesium by Fusion have been a God sent miracle in my life. Nightshade vegetables are a trigger for me.